The Windows Easy Transfer Tool is wonderful. Over the years, I’ve come to find it’s utility and function improves with each use. As a migration tool, it’s support for Outlook and Office configurations is useful. The ability to migrate a computer in-place for profiles changes is handy. And, as a profile backup tool, it may be worth a look. 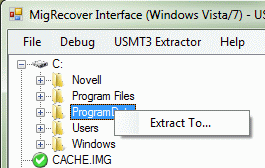 Introduced in Windows Vista and available for Windows XP, the Windows Easy Transfer is a tool of many uses, but one of the lingering drawbacks has been the inability to extract files from the generated .MIG archives. Not to worry though, I’ll show you how to do it. 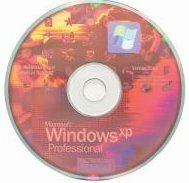 If you are an IT guy/girl yourself and you handle Windows computers on a daily basis, you’ll likely be very familiar with Windows profiles. If you’ve ever had user login issues, file corruption, migrations to perform or upgrades – you will have worked with them (even if you didn’t know). Given that the user is directly connected to the use of a profile; making sure they get what they need will save you lots of stress. I’m going to discuss the ways you can most efficiently create, copy and replace profiles on Windows so your users always have a consistent experience. Also note, I’m sure none of what I’ll describe to you is supported by Microsoft. Be warned that changes outlined here may cause data loss if you aren’t careful. So, be careful. Let’s say that you are running Windows 7 today and you want to return to Windows XP. You may be all too aware of the coming expiry of the Windows 7 Release Candidate running on your computer or you may be finished with the Windows 7 trial version that you have running on your computer. No matter the reason, you’re just done with Windows 7 and you want to go back to the venerable Windows XP operating system. Here’s how you do it.